The video commences with the closing moments of Saturday Cinema SE7EN, immediately followed by a WNEV promo for its upcoming Walk For Hunger on Sunday, 3 May 1987. The sign-off announcement, delivered by Leif Jensen, follows a brief promo for the weekday morning show Today's Business. The station ID graphic has the slogan "Feel Good About That", which was used by WNEV during the mid-1980s. The SSB which follows the sign-off is one produced by the United States Army, featuring the Army Band and scenes of familiar Washington DC landmarks.  The sign-on segment begins with several seconds of a color test pattern with "bleeping" tone, followed by the announcement. The "SE7EN" logo featured in this clip, used since 1982, was replaced later in 1987 with a new one (WHDH currently uses a "Circle 7" logo similar to that used by ABC affiliates operating on Channel 7). Boston's current Channel 7 commenced operations on 22 May 1982 as WNEV-TV. It was a newly-licensed station that replaced the original Channel 7, RKO-General's WNAC-TV, which had lost its FCC license after years of investigations of its business and financial practices, and was ordered to sign off for good at midnight the previous evening. The station's current call letters, adopted in March 1990, were those of Boston's original Channel 5 (1957-1972), which had also lost its license due to business improprieties. On New Year's Day 2017, WHDH lost its 22-year affiliation with the NBC network and became a news-intensive independent. Channel 7 is a sister station of Boston's WLVI-TV Channel 56, the CW network station.